In 1915, raging flood waters took from the Jessamine County community of Union Mill its covered bridge. The bridge connected the two sides of this community and provided a link between Nicholasville and the Valley View Ferry. Almost immediately, the Jessamine Fiscal Court awarded the contract for construction of a replacement bridge to Lexington's Empire Bridge Company. The new bridge was to be of steel truss at a price was $2,697. About forty years later, the 1915 bridge was abandoned when the road was rerouted slightly downstream. For over fifty years, the abandoned bridge experienced rising and receding waters as well as an annual vegetation that nearly hid the bridge itself. But the years took its toll. Photos by Magistrate George W. Dean reveals only 2 1/2 feet of bridge above the water leaving an entire "roadbed" submerged for several days during the floods in the spring of 2010 (see photo at left). 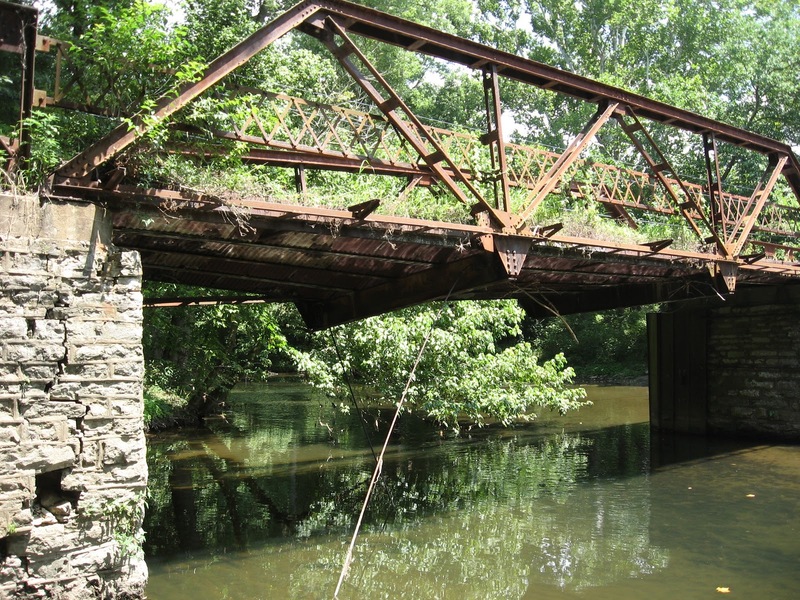 Following the 2010 spring floods, local authorities discussed what could be done to restore and preserve this nearly century-old Jessamine County landmark. Any repair, however, would only prove to be a short-term fix. So costs and the lack of potential reuse left leadership with tied hands. 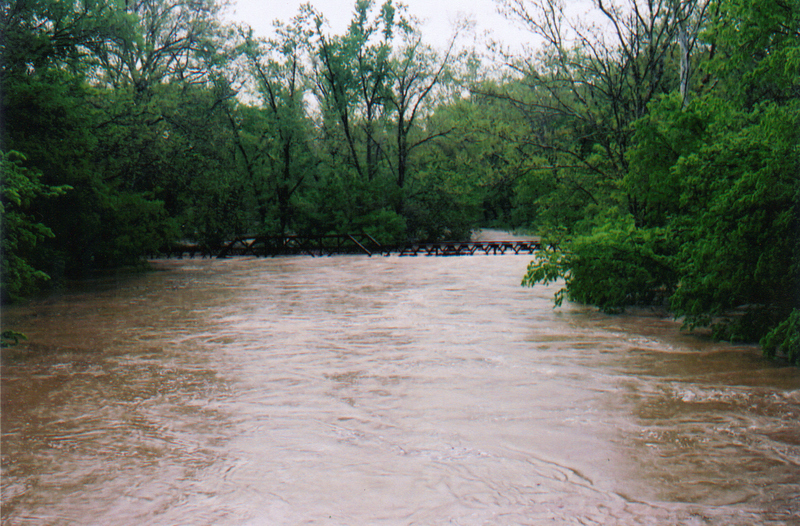 With a new bridge over Little Hickman Creek just yards downstream, safety could not be ignored. As a result, the last weekend in November 2011, witnessed the removal of that old truss bridge which had spanned the Little Hickman Creek for nearly a century.